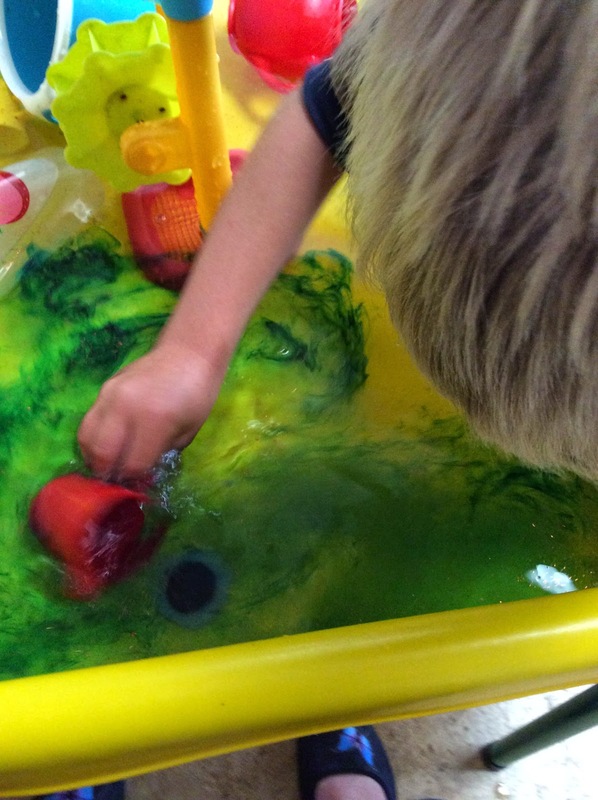 Then we added some colour to the water and mixed all all around and changed the colour of the water. 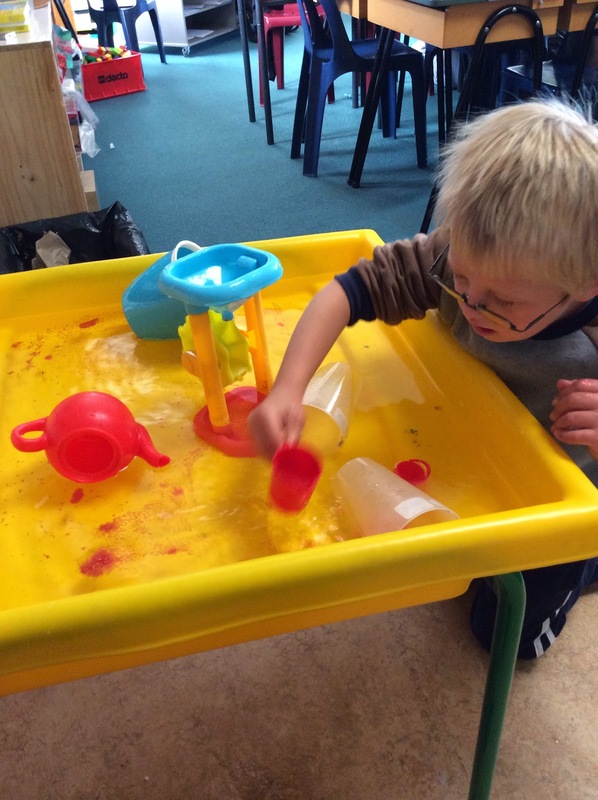 Brody had a whole lot of fun with the water tray he was pouring and measuring. Next it was some bubbles we got out the egg beater and whisk and really stirred them up . 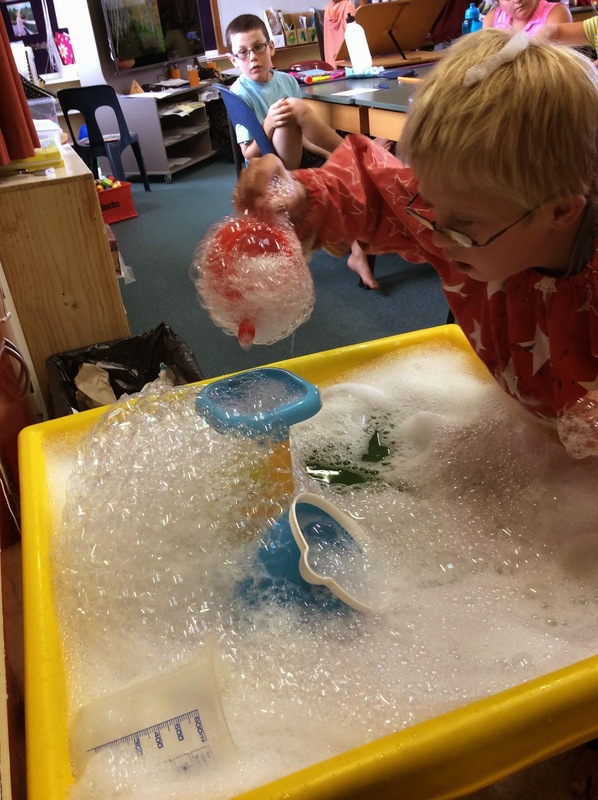 You really look like your having so much fun with this project brody ,all that pouring and measuring has paid off as you now can pour yourself a drink in a cup without it overflowing THANK YOU ARNITA.